No doubt you’ve got a list full of places that you’d like to visit in your lifetime. But, we’re willing to bet that there are a few places that you might not have heard of that should definitely make that list. I mean, you know the world! We’re not arguing about that… But perhaps there are a couple of places that don’t often rise to the top that should absolutely make your list of places to visit! You know we’re right, and if you’ve clicked onto this article, then we know why you’re here. 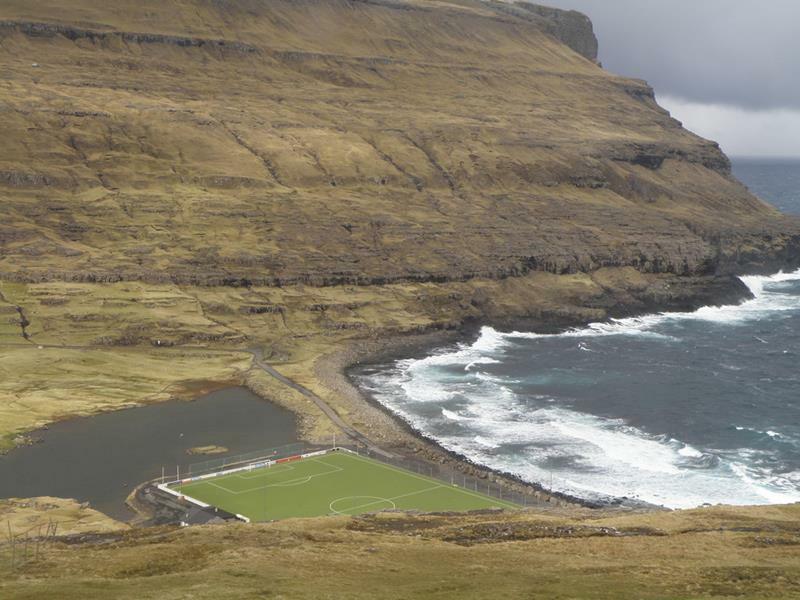 You want to know what the deal is with the Faroe Islands! 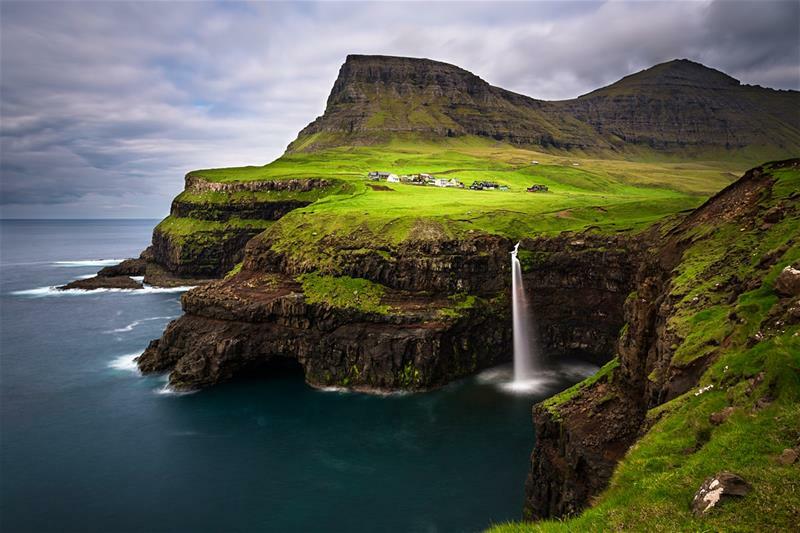 Well, we’re here to tell you that the Faroe Islands are without a doubt one of the coolest places to visit in the entire world. 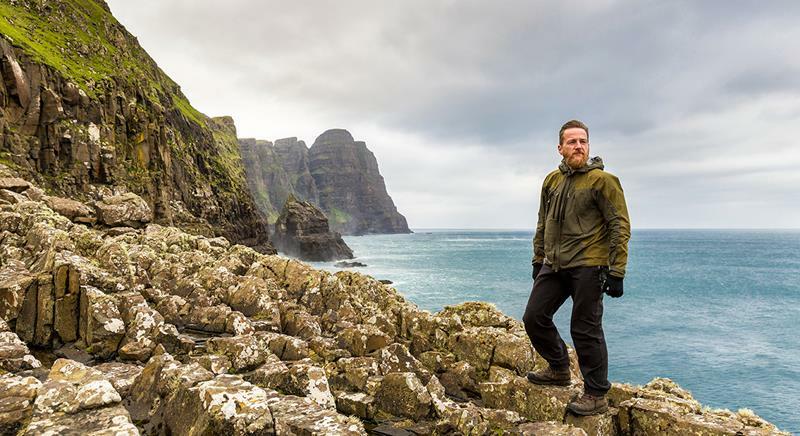 They’re so iconoclastic, featuring an incredible style that’s all their own, as well as some of the greatest natural beauty that you’ll see anywhere on the planet. 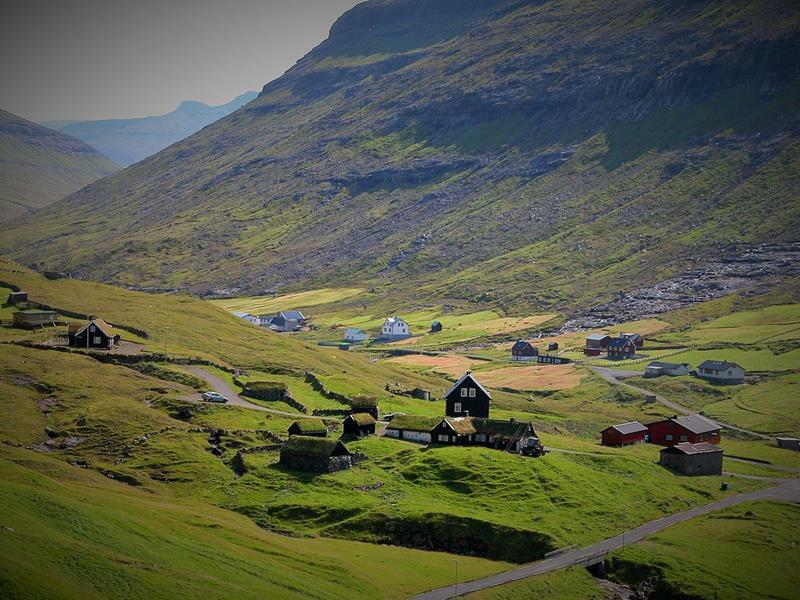 So, what really makes the Faroe Islands so special? Why should you pay them a visit on your next vacation? 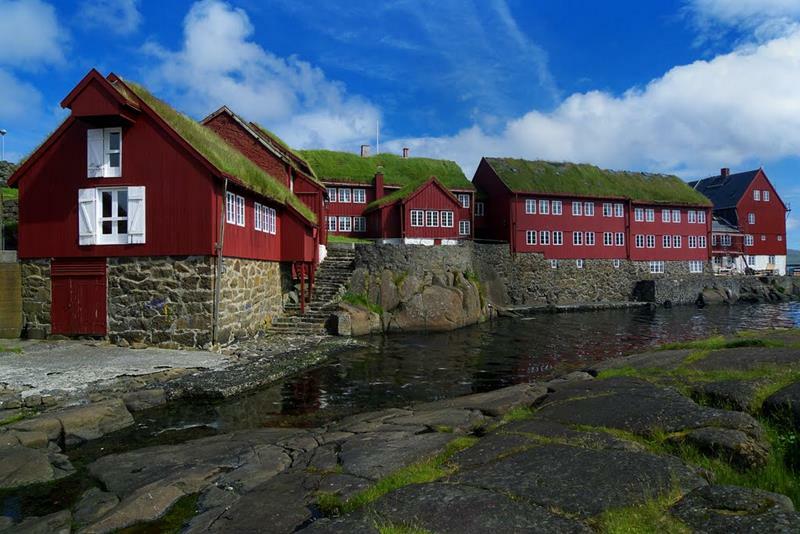 Let’s find out as we take a look at 20 reasons why you should visit the Faroe Islands. 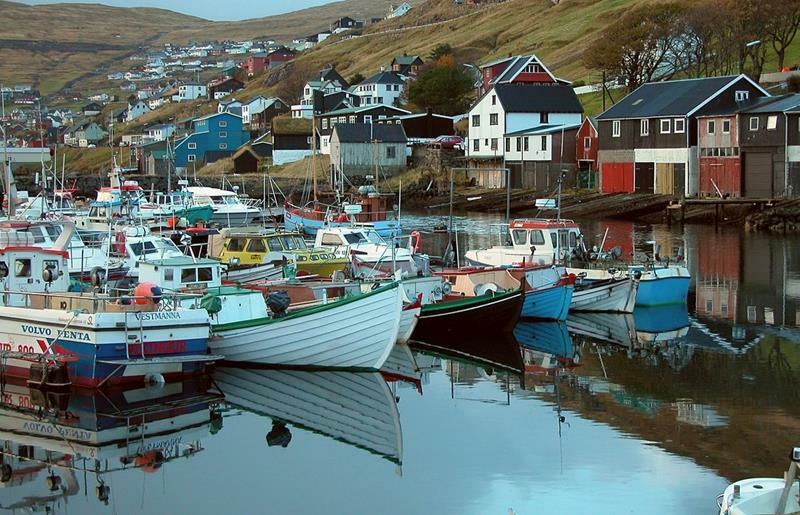 You won’t have to worry about fending with the locals, because the Faroe Islands are only home to some 50,000 people. 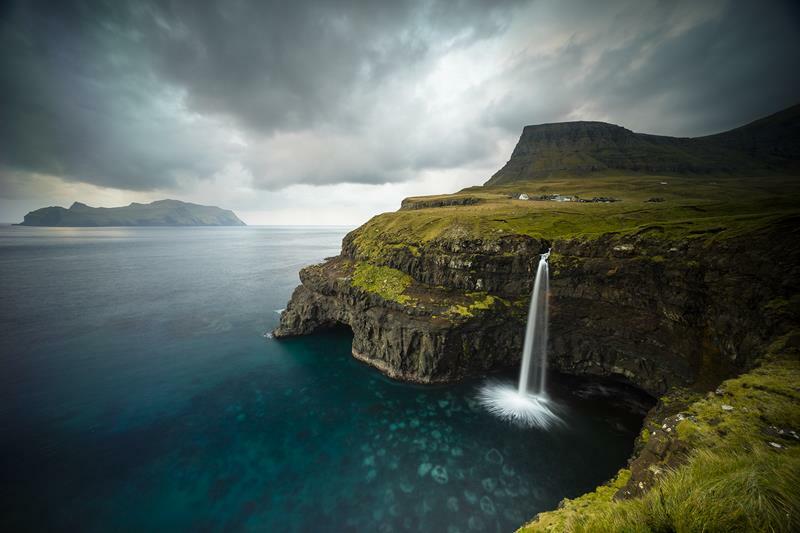 We’re going to be talking about the natural beauty of the Faroe Island a lot, but let’s just take a moment to appreciate how beautiful the whole place is. 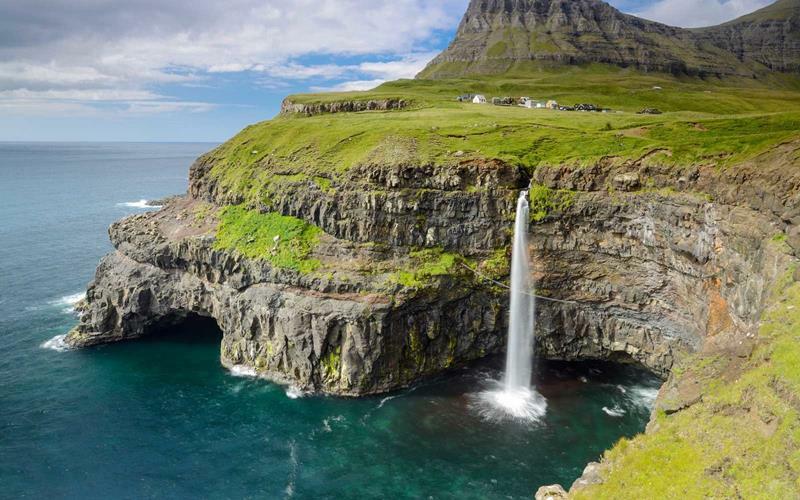 For example, if you’re a person that loves a good waterfall, then the Faroe Island will not disappoint you… We’ll be checking out a few! One of the most famous waterfalls that you’ll find on this archipelago is the absolutely stunning Mulafossur Waterfall. 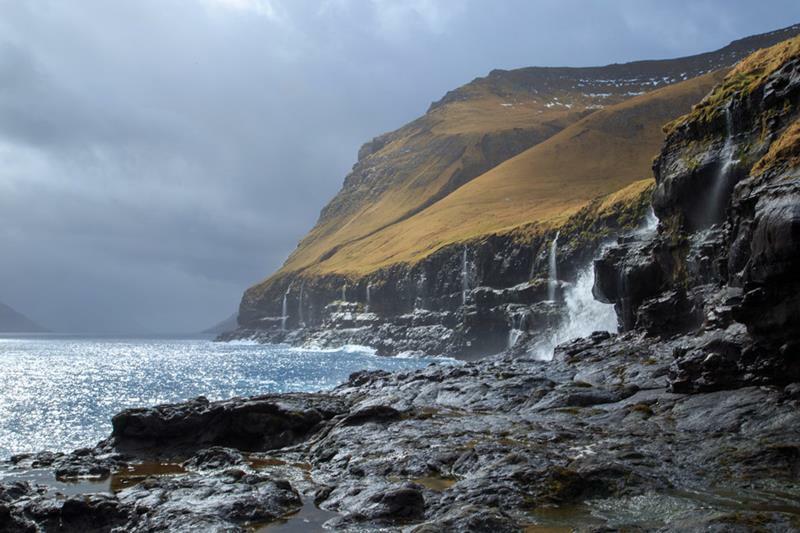 One of the things you’ll definitely want to check out if you visit are the stunning waterfalls along Eysturoy’s coast. 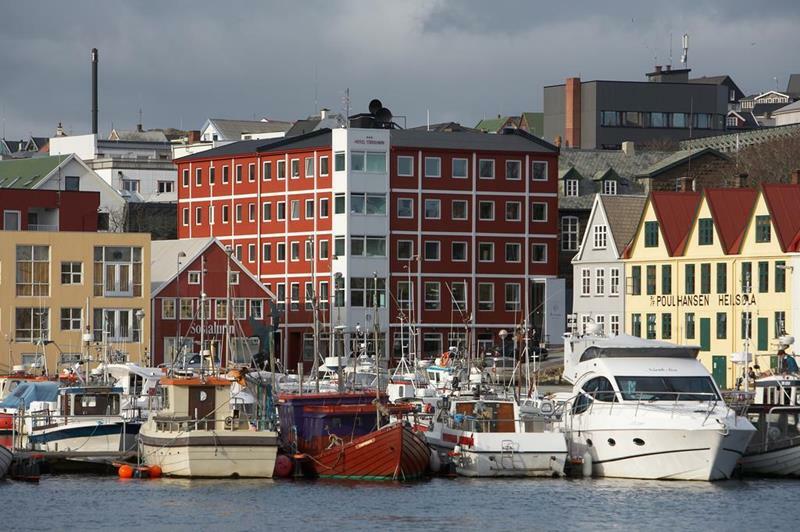 If you visit the Faroe Islands, then you absolutely have to spend some time in the lovely capital, Torshavn. And to really get the best experience possible when you’re visiting, be sure to spend some time in the lovely Old Town. Hey, we’re just kidding! 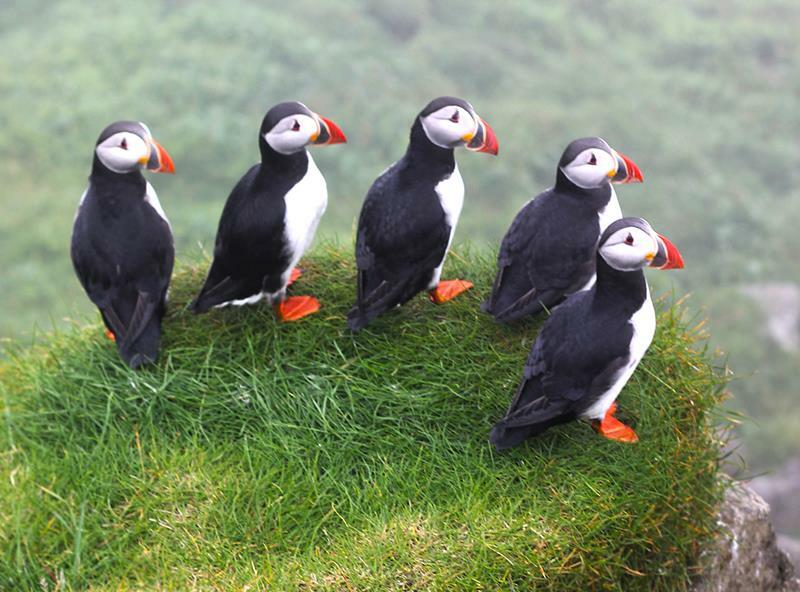 The Faroe Islands are literally loaded with puffins, and they’re so, so cute. 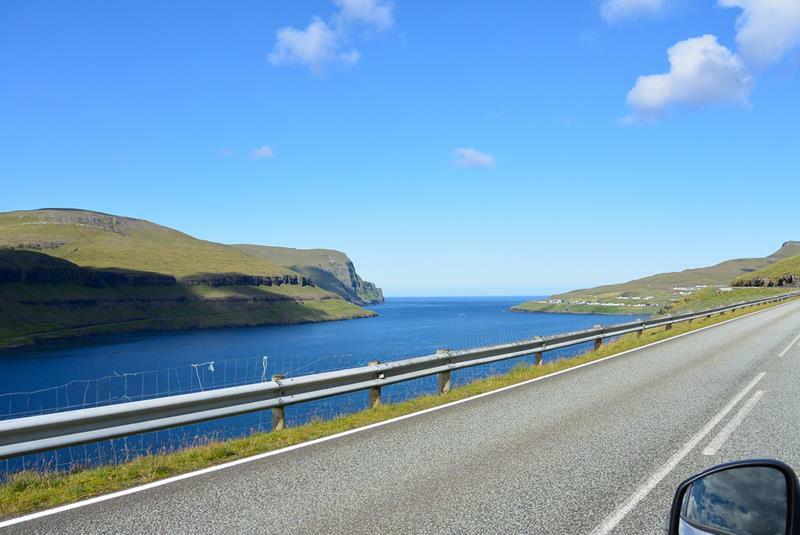 If you’re looking for a scenic road trip, then the Faroe Islands are going to serve you quite well! 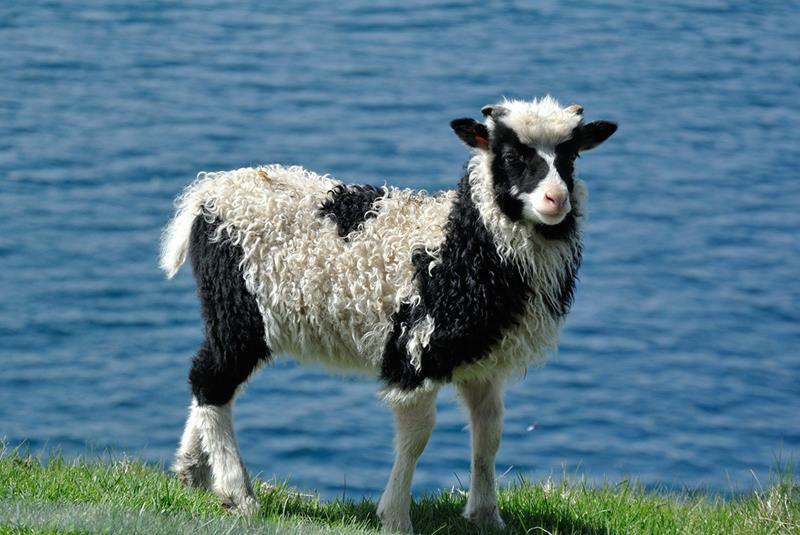 Would you believe that more sheep call the Faroe Islands home than do humans? Well, it’s true! Sheep outnumber humans 2 to 1. 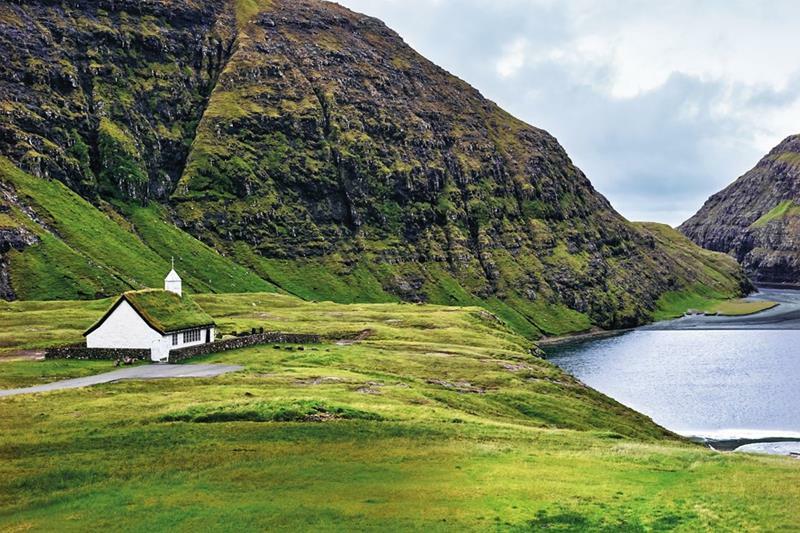 If you’re the kind of person that likes to go hiking when you’re on vacation, then the Faroe Islands are definitely for you. 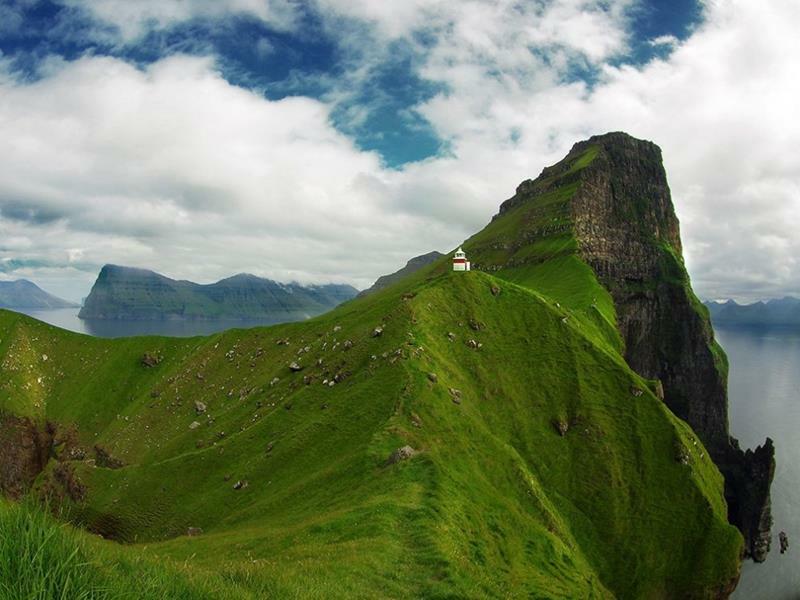 One of the best hikes that you can take is definitely one that involves paying a visit to this Faroe Islands landmark. How do you get around from island to island? 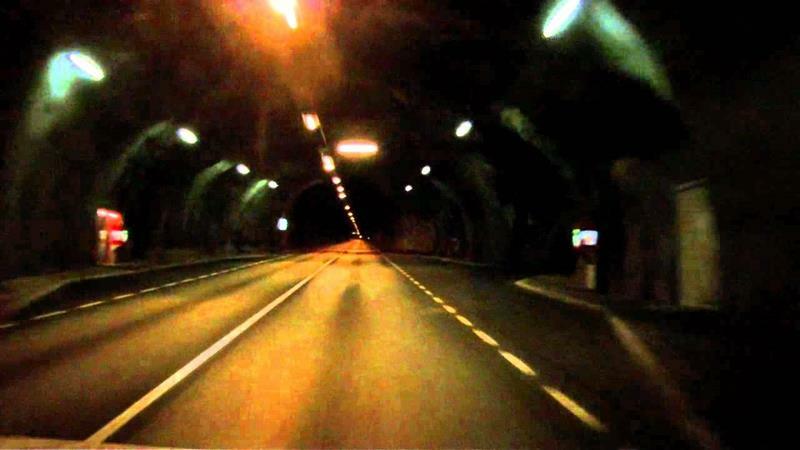 Well, you’ll be taking some sub-sea tunnels, of course! 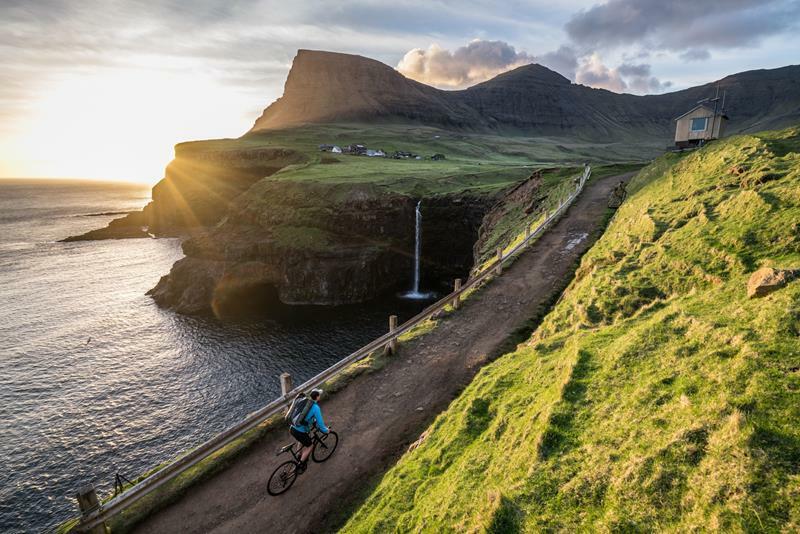 One of the most beautiful islands of the Faroe Islands is Kalsoy, which offers more hiking opportunities than you can shake a stick at. 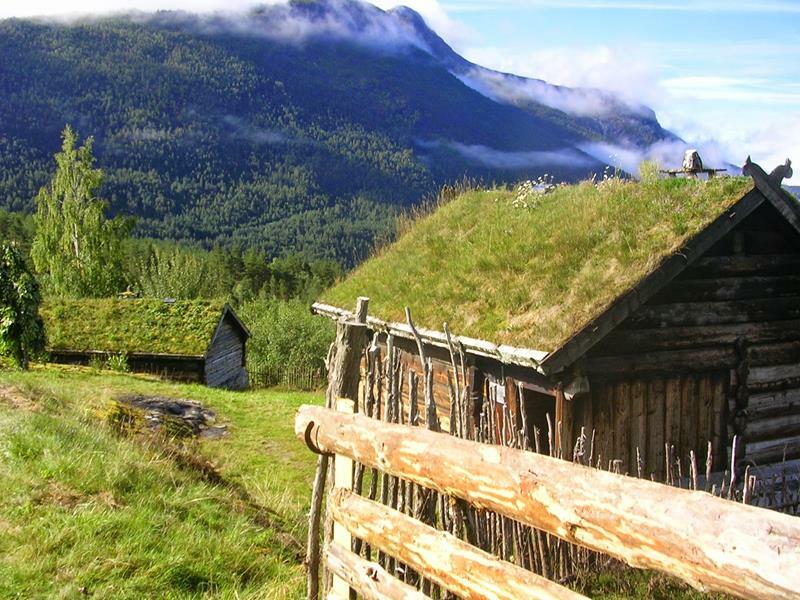 You might have noticed them by now, but let’s just face it… There are few other places in the world where you’ll see so many turf-roofed homes. 16. Why the Turf Roofs? 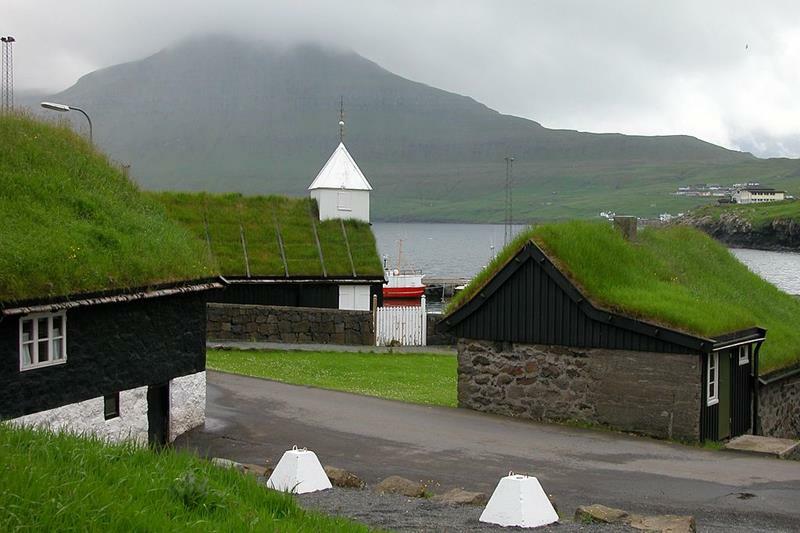 If you’re wondering why the turf roofs are so common, then it has to do with the fact that the Faroe Island can be pretty rainy year round. If you go to check out the Mulafossur Waterfall, be sure to take some time checking out the lovely town of Gasadulur. 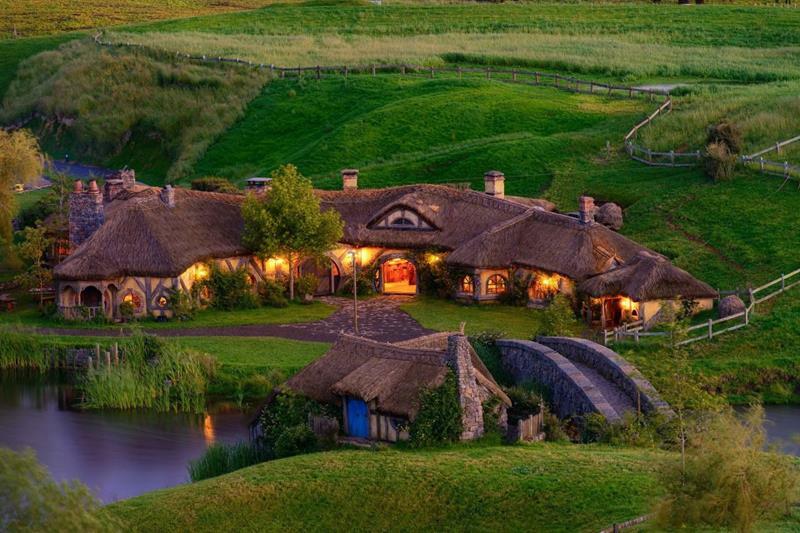 If you’ve ever wondered what it would be like to wander onto the set of the Lord of the Rings, then you’ll want to check out this Shire-like village. 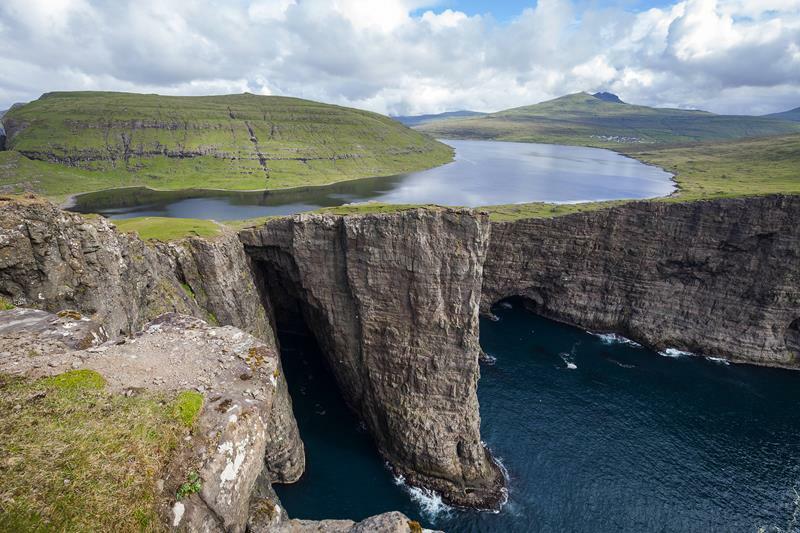 This is the largest lake in the Faroe Islands, and yes it looks like an optical illusion. It will blow your mind in person! You may have think you’ve seen soaring and beautiful cliffs before, but a visit to Vestmanna will change all that.